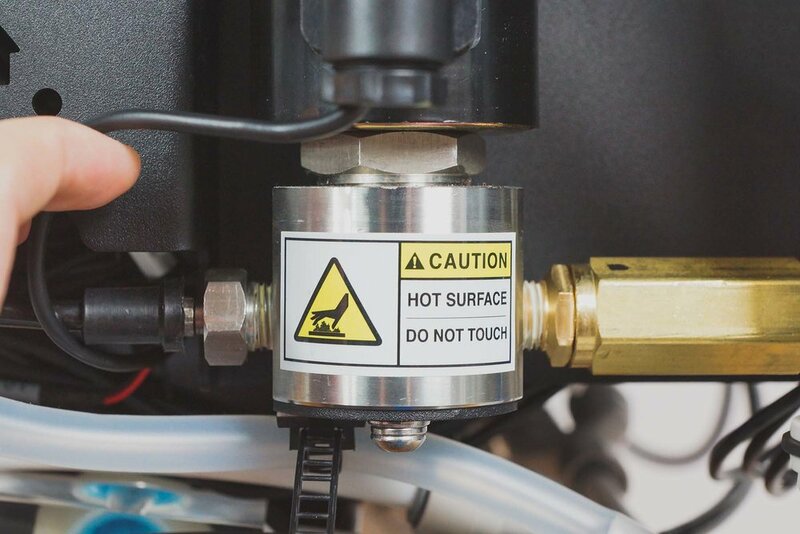 Safety — WAZER | The First Desktop Waterjet. WARNING: Read all safety warnings, instructions, illustrations and specifications provided with this power tool. Failure to follow all instructions listed below may result in electric shock, fire, serious injury, property damage, serious injuries, or death. Always read this entire manual before operating WAZER. The employer or owner is responsible for compliance with all applicable federal, state and local regulations/codes. Always keep this manual in a safe, accessible location near WAZER during operation and maintenance. Throughout this document, the product labels, and in other collateral materials, you will come across various signal words. Some of these signal words alert you to safety hazards. These are important to the safety of WAZER users. Others are there to make sure your machine or environment does not suffer any damage. Be sure to familiarize yourself and all other users of the machine with these signal words. Make sure to refer back to this section as needed. SAFETY ALERT SYMBOL Used to alert you to potential personal injury hazards. Obey all safety messages that follow this symbol to avoid possible serious injury or death. This safety alert symbol precedes any safety message about risk of personal injury. DANGER Indicates a hazardous situation that, if not avoided, will result in death or serious injury. WARNING Indicates a hazardous situation that, if not avoided, could result in death or serious injury. CAUTION Indicates a hazardous situation that, if not avoided, could result in minor or moderate injury. NOTICE Indicates a hazardous situation that, if not avoided, could result in property damage. In addition to the signal words listed above, WAZER has various Product Safety Signs and Safety Labels placed in visible locations. 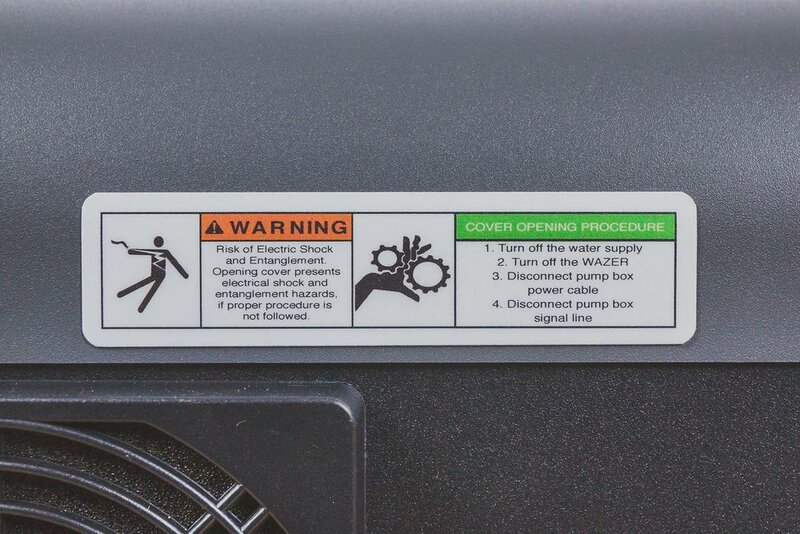 These labels are critical to your safety. You must familiarize yourself and other users with their meaning. 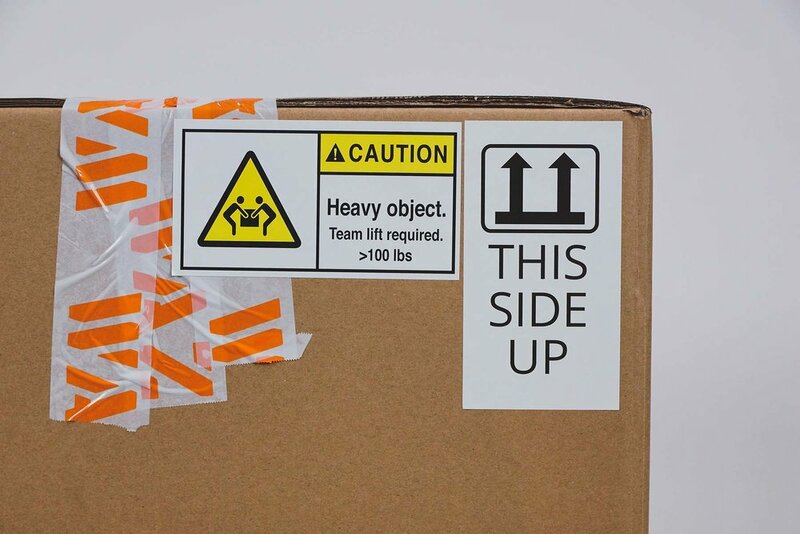 Ignoring these labels may result in equipment or property damage as well as physical injury or death. These Product Safety labels should be periodically inspected and cleaned as necessary to maintain good legibility. 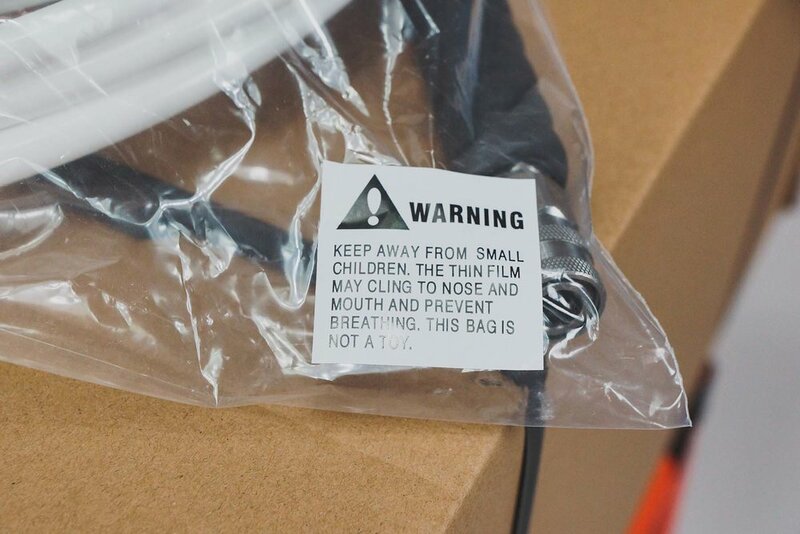 If they are no longer legible, the Product Safety Labels should be replaced. 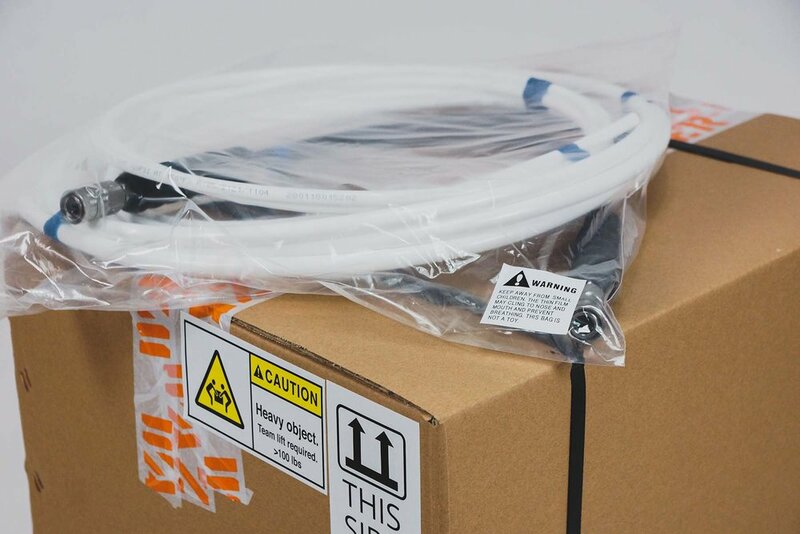 For Product Safety labels that are lost or damaged, contact WAZER Customer Support for replacement labels and recommended installation procedure. Always use two people to lift heavy components. Avoid contact with hot surfaces during operation. Avoid contact with the Jet or High-Pressure components during operation. Avoid contact with components in motion during operation. Avoid contact with all exposed electronics during operation. 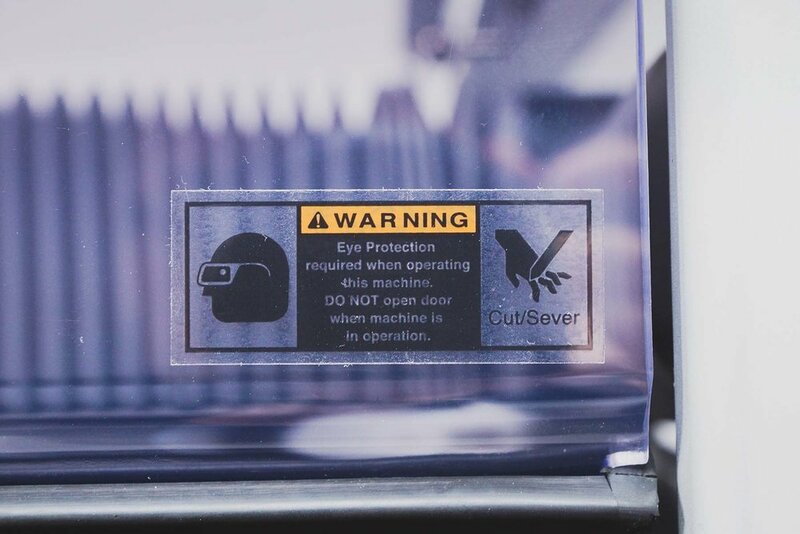 Always wear appropriate eye protection to avoid potential injuries to your eyes. This entire User Manual is filled with important safety information – please read it carefully and ensure that anyone that uses WAZER has read this User Manual as well. Before setting up and using WAZER, read and follow all instructions and safety messages. ALWAYS be aware of and comply with all federal, state, and local safety regulations, industry standards, and internal company safety guidelines. Always wear safety glasses and non-slip footwear during setup, operation, and maintenance of WAZER. This includes non-operators within a 10-foot vicinity of WAZER. Hearing protection is required when operating WAZER for long periods of time. Wear gloves when handling material. Materials may have sharp edges immediately after cutting. Make sure the floor surface around the WAZER location is water resistant and slip resistant. 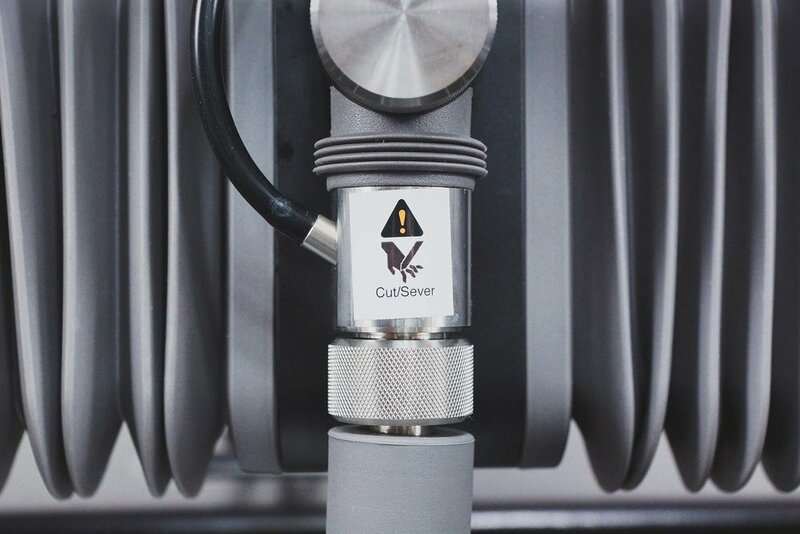 WAZER operates with abrasive and water. While it is an enclosed system, water is likely to spill during routine use, setup, or maintenance. Ideally, a floor drain should be located near your WAZER. WAZER operators should ensure anyone within 10 feet of the WAZER follows the proper safety precautions. WAZER should be installed in an area that allows the machine to be monitored while cutting. WAZER can cause serious injury and should be accessible only to those that have read this User Manual and are capable of understanding the risks associated with this tool. Ensure the WAZER location will never result in an untrained individual using the machine. If WAZER is intended to be used by multiple people, put an orientation and training program in place at the facility to ensure correct usage. Do not setup, operate, or perform maintenance on the machine under the influence of illicit drugs, alcohol, or over-the-counter and prescription drugs that can impair one’s ability to operate heavy machinery safely. All operators of WAZER must be aware of the Power Switch, On/Off Valve, and water shutoff locations. instructed in this User Manual. Do not modify WAZER or its components. Never leave WAZER unattended while in operation. 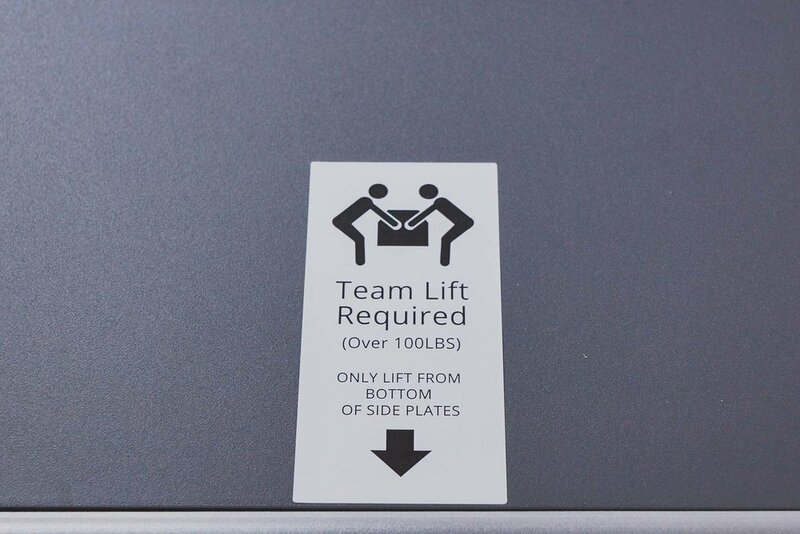 Always use proper lifting techniques when lifting heavy components to avoid injury or strain. Always make sure the machine is secured using the Wall Mount Bracket. electrician and your national, state, and local codes if you have any questions. Never modify the plug. Ensure the Pump Box is plugged into a properly grounded NEMA 5-15 receptacle that has a 15 amp breaker. Always keep your work area clean. Never operate WAZER with components out of place or missing. 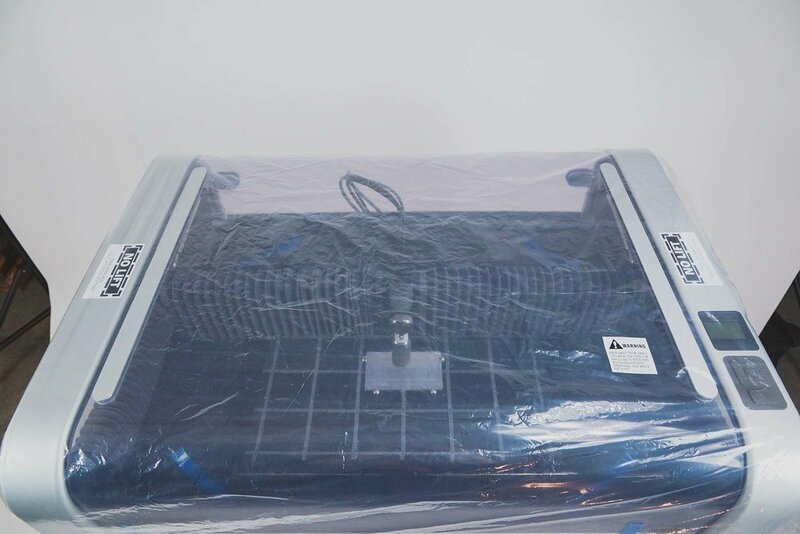 This includes and is not limited to the Cut Bed, Nozzle Cover, Nozzle, and Door. Never override any safety sensors or systems in WAZER. Cut Bed, Nozzle, and the Material you are cutting. Stay clear of all high-pressure components during operation. Never reach under, over, or into WAZER or Pump Box during operation. Always disconnect WAZER from power and shut off the water supply when leaving WAZER unattended. Follow all maintenance procedures and schedules presented in the User Manual. 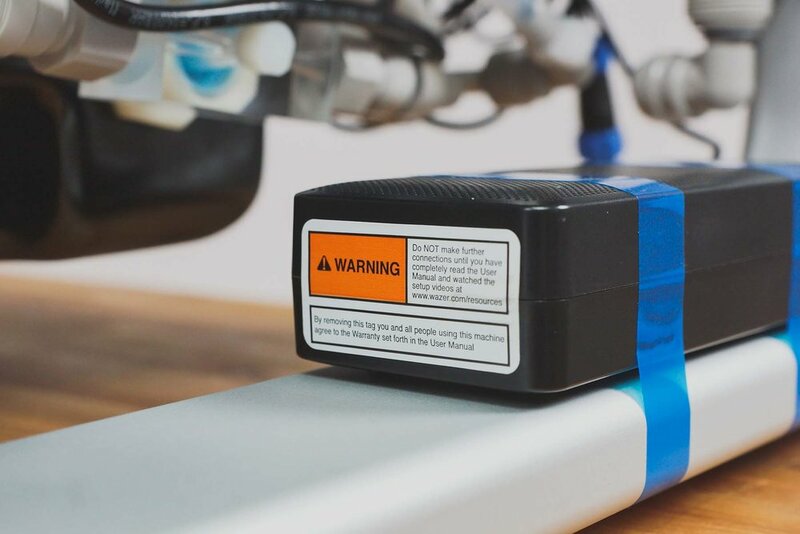 Failure to maintain WAZER could result in damage to WAZER or the Pump Box, a degradation of cut quality, or create safety risks to you and your environment. 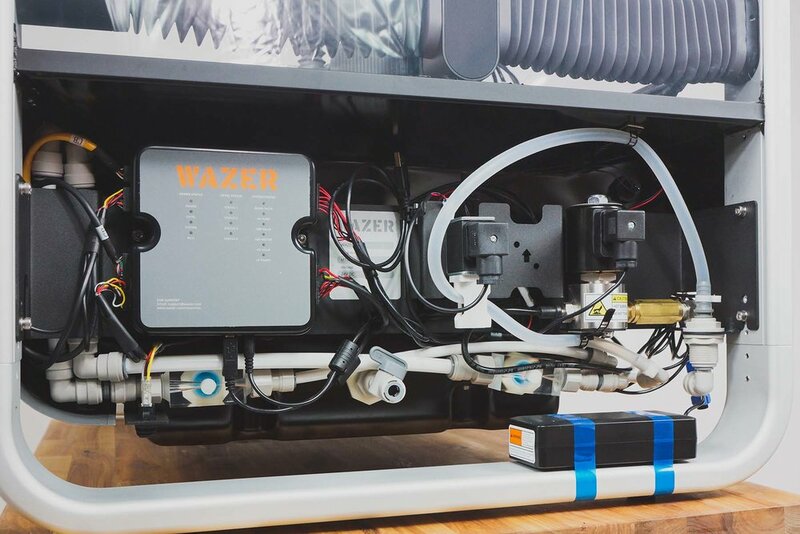 Do not engage in any maintenance while WAZER is connected to power and water supply. 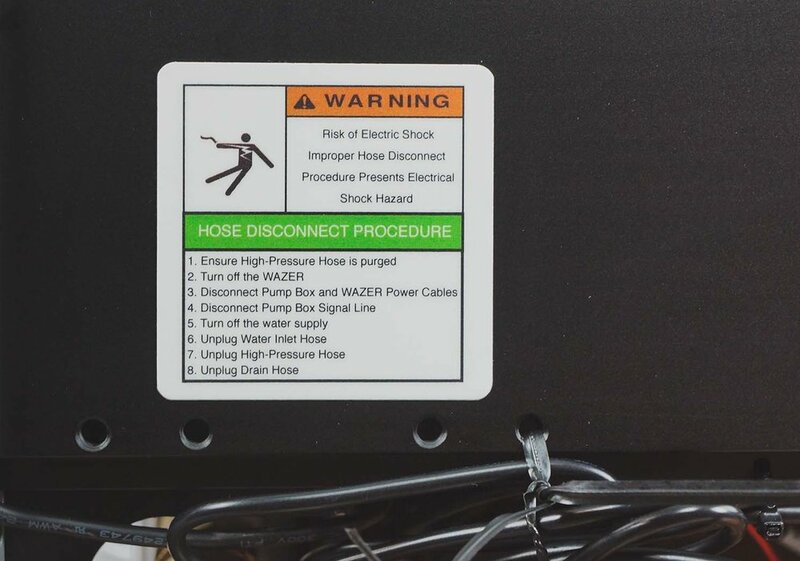 Always disconnect WAZER from all power sources and water sources before opening the Pump Box or interacting with any electronics. Do not perform unauthorized maintenance on WAZER or its components. All maintenance must follow instructions in authorized sources of information including this User Manual. WAZER resources site, and content proved by WAZER Customer Support. 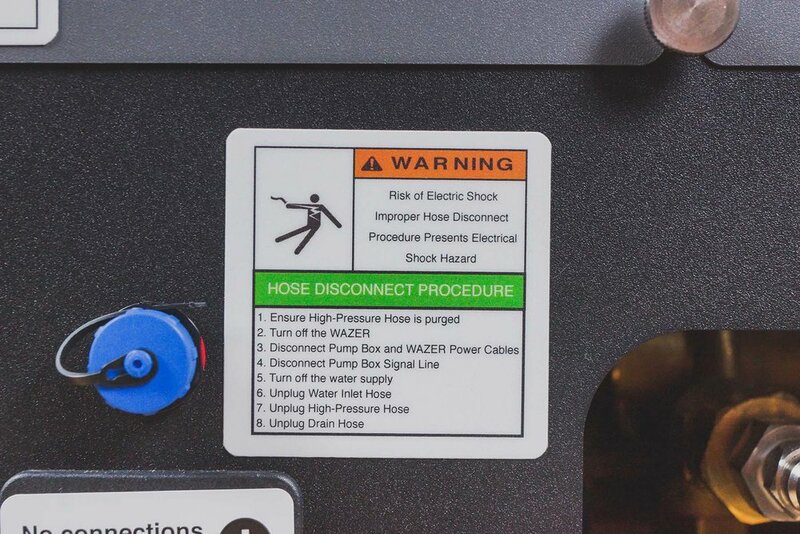 Before and after a Cut, always inspect the surrounding area of WAZER and Pump Box for leaks. Never attempt to identify the location of a leak when the machine is on. Seek medical attention immediately. Do NOT delay! Inform the doctor of the injury. source of the water and the materials involved. This patient may be suffering from a waterjet injury. Evaluation and management should parallel that of a gunshot injury. The external manifestations of the injury cannot be used to predict the extent of internal damage. Initial management should include stabilization and a thorough neurovascular examination. X-Rays can be used to assess subcutaneous air and foreign bodies distant from the site of injury. Injuries to the torso can involve internal organ damage. Surgical consultation should be obtained. Aggressive irrigation and debridement is recommended. Surgical decompression and exploration may also be necessary. Angiographic studies are recommended pre-operatively if arterial injury is suspected. adjunctive therapy to decrease pain, edema, and subcutaneous emphysema. intravenous antibiotics should be administered. For your convenience, we have also included a wallet sized laminated medical alert card in the pouch of this printed User Manual. 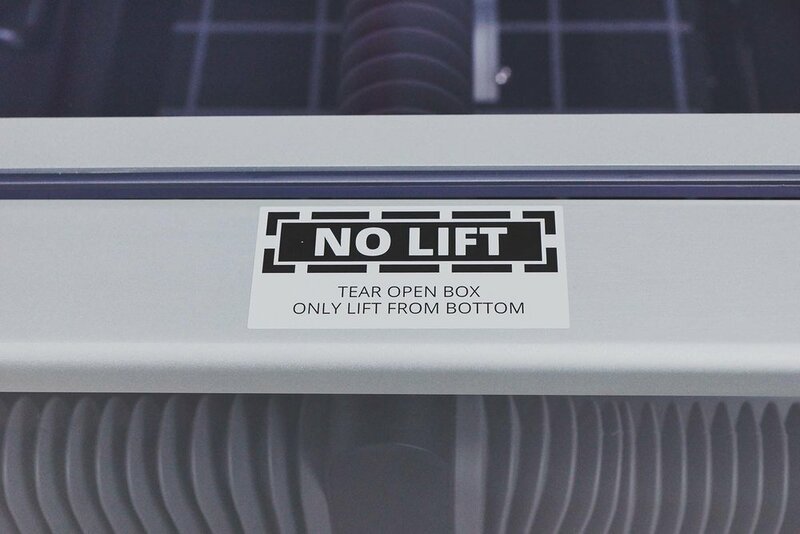 This card contains the above injury treatment information per the Waterjet Technology Association’s recommendation. We recommend users of the machine carry this card. Additional copies of this card can be attained by contacting WAZER Customer Support. Bacteria can build up in the standing water of the Tank. Any injuries or cuts, even minor ones, should be treated with caution. If you have open wounds avoid contact with the water or wear gloves that do not expose you to the Tank water. Now that you are familiar with our safety guidelines, let's get acquainted with the WAZER system.